Had stayed there many times,nothing happened nor did I expect it to! This is an old building ...Hello... it's Historic! We are pleased to still have it standing and someone is operating a business. It has been beautifully maintained for its age. 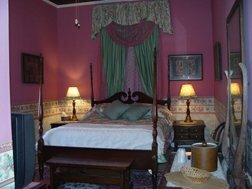 Go peddle Your Haunted Hotel Stories some where else. I have lived here in Clermont for 40 yrs. And proud of our Town. To follow-up on my comment above, access the link below to see a video of a paranormal investigation that was conducted at the Clermont Hotel in 2011, including interviews with the past owner and guests. I have lived in Clermont for 14 years. 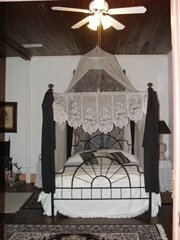 There are several homes here that have experienced paranormal activity, including our own. The Clermont Hotel has as well. Speak to others in the community or do an internet search and you will learn this. I am happy to hear that you have experienced no paranormal activity. Should you, I strongly suggest having the hotel visited and prayed over by a Christian Pastor. Hi. I recently purchased this property. The reason it smelled funny was because it needed cleaning. We have had no evidence of any paranormal activity and would appreciate you taking this off this website.